This recipe is so easy and it’s super good. I found it on Pinterest. 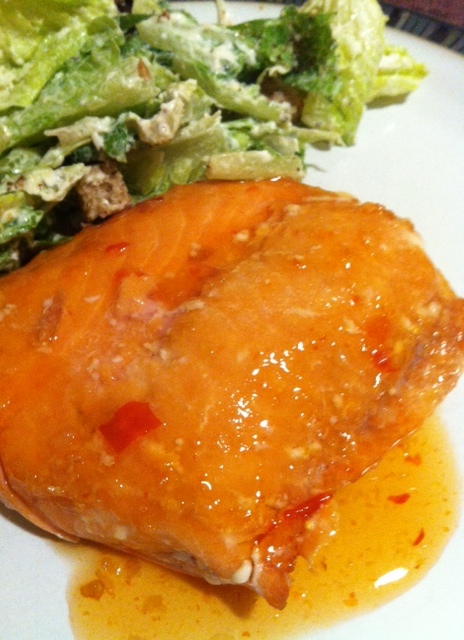 The original website is http://ifoodreal.com/clean-eating-baked-thai-salmon-recipe/. I used one salmon fillet and added as much Thai sweet chili sauce as I wanted. I did not use cooking spray as my salmon had the skin on the back. 2. Turn on oven’s broiler on High and position top rack 5″-6″ below the heat source. Line large baking sheet with unbleached parchment paper, spray with cooking spray and place salmon fillets skin side down (if any). Coat with remaining marinade from the dish (if any). 3. Broil for 8 minutes, rotating baking sheet once. Remove from the oven and brush top each fillet with 2 tsp of Thai sweet chili sauce. Return to the oven and broil for another 5 minutes or until salmon has caramelized. Serve hot garnished with green onions, extra sauce (if desired) with brown rice or quinoa on a side. 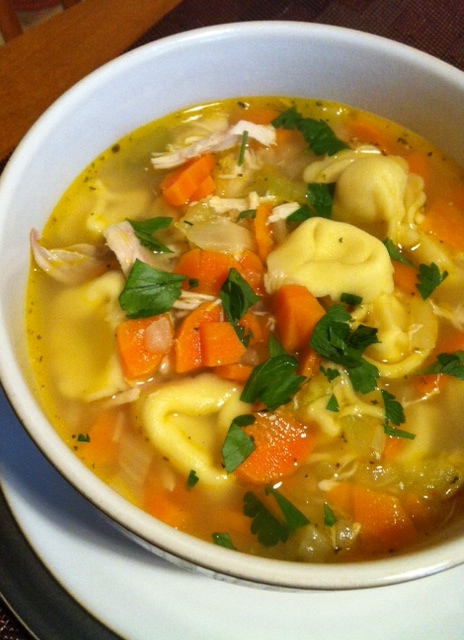 I can’t tell you how much I LOVED this recipe!!! I could have this once a week no problem. I used frozen mango with great results! I also used tomatoes from my neighbours garden since I had so many of them. I grilled the halibut on the BBQ. One piece took no time at all since it was so thin. The recipe says 5 minutes per side, but adjust to the thickness of your fillet. This recipe is super easy and so delicious! 1. Prepare a grill to medium-high heat. Gently combine the avocado, mango, tomatoes, basil, 1 tablespoon oil, and 1 tablespoon lime juice in a large mixing bowl. Season salsa to taste with salt and pepper and set aside at room temperature, Gently tossing occasionally. 2. Place fish fillets in a 13x9x2″ glass baking dish. Drizzle remaining 2 tablespoons oil and 2 tablespoons lime juice over. Season fish with salt and pepper. Let marinate at room temperature for 10 minutes, turning fish occasionally. 3. Brush grill rack with oil. Grill fish until just opaque in centre, about 5 minutes per side. Transfer to plates. 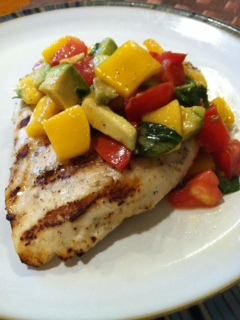 Spoon mango-avocado salsa over fish. Squeeze a lime wedge over each and serve.